When you’re trying to boost revenue and the number of paying users for a SaaS, your website and signup page are only one piece of the puzzle. 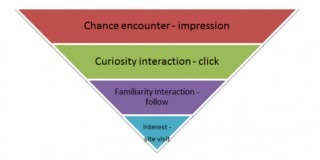 Optimizers tend to forget that the entire funnel requires optimization. Are paid signups significantly going to go up? Would increasing free trials result in churn increasing? Optimizing for an increase in trials when a bigger problem is later in the funnel will only push the problem further and emphasize the leak. The solution? 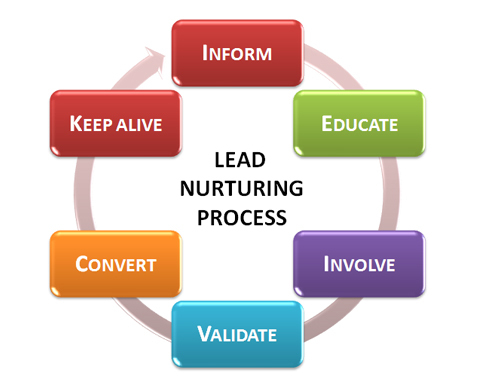 Lead nurturing, not increased lead acquisition at all costs. Considering that between 40% and 60% of your free trial users will never come back to your software after signing up, it’s no valid strategy to “hope” some will come back and magically become loyal users. Instead of “hoping” they come back, lead nurturing provides a way for you to engage with them, automatically. This means that even if they leave, you have the power to stay in touch and get them to come back once nurtured. This way, you’re in control. Diving deeper on how this works ultimately means understanding the key concepts and psychological triggers that will get them to come back. Let’s explore what I believe are the two absolute bases of any good nurturing campaign. The more you give, the more likely you are to receive. Contrary to what you might think, this is not just a philanthropic quote. It stands on a psychological principle called the law of reciprocity. It’s power is immense, and if you’re doing your nurturing campaigns right, this concept should be ingrained deep into your messaging. In 1976, in order to demonstrate the concept of reciprocity, psychologist Phillip Kunz sent out holiday cards with a note and pictures of his family to complete strangers. The result? Shortly after, he started receiving holiday cards from the strangers, too. These people never asked why he sent the cards, they were simply reciprocating the action. Kunz’s experiment proves something important. Even if people don’t know you, if you provide them value, they are likely to reciprocate. When we translate this into digital marketing, and more specifically, into lead nurturing, a campaign that focuses on providing value to your audience will increase your chances of them engaging and even buying. Now think, if people land on your website and you’re asking them to signup and buy right away at their first interaction with your company… Are you giving or are you receiving? 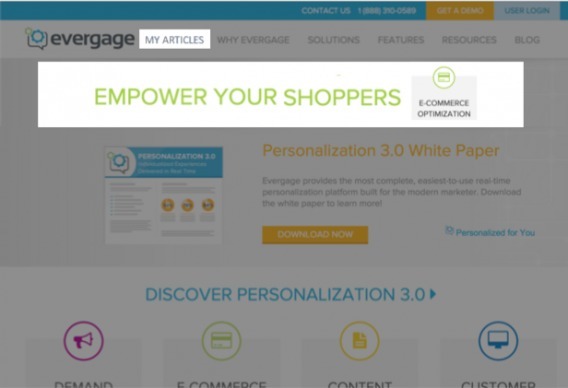 Content personalization platform Evergage integrates this in a similar manner. Although they do not offer a bonus upfront, if you’re a first-time visitor, they recommend you visit their blog to learn more about personalization. They’re providing value through education. Then once you’ve learned more about the topic and return to their site, you will see a different message that’s targeted towards your stage of the buying cycle. Similar concepts can be applied to email, direct mail, ads, and to any other marketing material for that matter. Respecting the buying cycle, starting with education and building trust are critical. When you have to pick a software for a certain task in your company, whether you want it or not, chances are you’ll pick the one you’ve been consciously, or even subconsciously, exposed to the most. That is the mere-exposure effect and it’s been used by marketers for years to increase our likability towards certain products and companies. It leverages our brain power to make decisions to their advantage. It’s not unethical manipulation or hypnosis of any kind, it’s simply the fact that people will favor something that’s familiar to them over something unknown. In 1992 a study done by Richard Moreland and Scott Beach had students visit a classroom of over 100 people, 5, 10 or 15 times during a semester. At the end of the semester, students were asked to rate how much they liked their classmates. Turns out, those who attended the class more often were rated the most liked by others. At its roots, lead nurturing is the concept of accumulating multiple micro-yeses that compound and results in one big yes, your main offer. Over time as you get those yeses from your leads, you are developing a relationship and building trust. The mere-exposure effect facilitates the “yes” by making us like something increasingly more through repeated exposure. When people are familiar with you, when they trust you, when they’ve been exposed to you often through your lead nurturing activities… they are much more likely to do business with you than someone completely new. Simple. 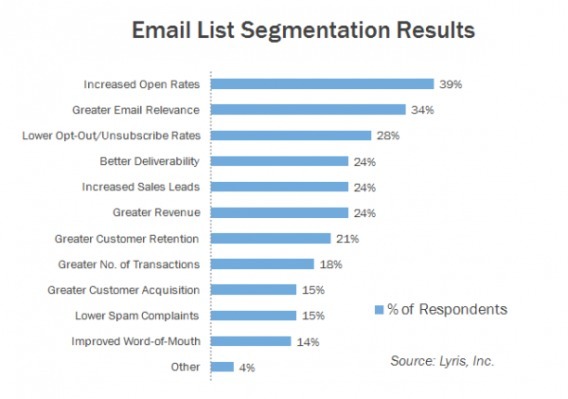 Let’s say your lead nurturing efforts are mostly through email. Getting people to know what you’re all about, and having them understand the depth of their problem (and how you solve it) is what most companies will do. But there’s something that’s missing in what I described above because in that case, all your prospect needs to do is read. At the end of the day, however, what really matters are the actions that are taken. A good nurturing campaign will educate and stay in touch with leads on a consistent schedule. In fact, that is its strength. By providing multiple, consistent touch points with leads over a specific period of time, not only are you more likely to stay top-of-mind, but it enables you to literally train your leads for action. And that’s exactly what you should aim to achieve with your nurturing campaign. If in your nurturing emails you link to valuable resources, if you give your subscribers a free download, or anything of value that requires a specific action to obtain (such as a click or an email reply), you’re training your subscribers to say yes, to engage and take action for the future. After a while, as people begin realizing the value of your content, it will become automatic for many to perform the actions you ask them to take – whether it’s to reply to an email or to click on a link. It needs to become a habit. Later, once you’ve accumulated enough engagement and trust from your leads, getting them to say yes to your ultimate offer will be easier. 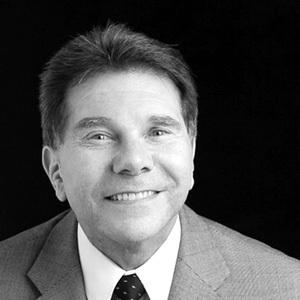 Micro-yeses, multiplied by accumulating value, will emphasize the law of reciprocity. As you can guess, a winning combination. 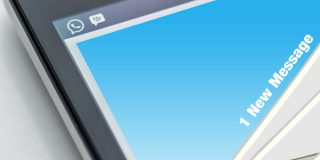 For SaaS, most will agree that drip emails are undoubtedly the best way to go. 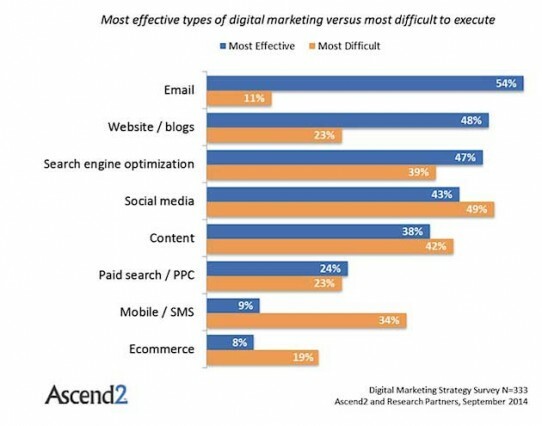 Many studies, such as the one illustrated by the chart below, show that email marketing is not only the least difficult to implement, but also the most effective. 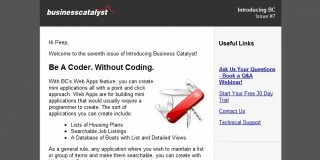 I recently wrote a case study about proposal software Bidsketch and their use of drip emails. The results projected a similar story. Focusing on drip emails to nurture leads resulted in a 30% increase in revenue for the SaaS, compared to focusing on increasing trials from the website. At its core, the concept is fairly simple: a series of emails that are automatically delivered over a specific period of time, or triggered by specific actions, aims to train recipients to engage. Drip emails aren’t regular newsletters, and they’re definitely not sales emails either (at least the first few emails). The first 3 emails should always focus on building trust, delivering value and kickstarting interaction. The first step is quite obvious, but absolutely necessary: collect email addresses! This is called a lead magnet and it’s used as a first, micro-commitment that gets them on your drip email list, and closer to your next ask. Now if you want to implement a drip email sequence after people signup for your trial, you will already have their email address and a lead magnet will not be necessary. The emails you will send will have a very specific purpose: to accumulate micro-yeses, educate, and provide value. 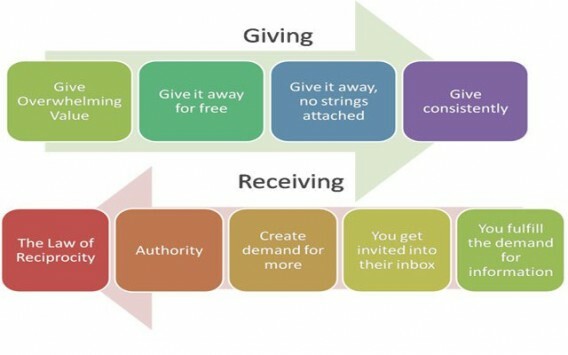 Throughout all of your emails, teach and provide as much value as possible to tap into the power of reciprocity. Send your emails on the same days and at the same frequency for repeated exposure. Don’t go too long without sending anything or you’ll be weakening the mere-exposure effect. Always provide 1 clear call to action in each email. Get people into the habit of clicking, responding, and engaging. First impression matters. Your first few emails set expectations and give an idea to the subscriber whether they should keep opening and reading… or if they should simply unsubscribe. That being said, don’t think your 5th, 7th or 16th email shouldn’t be as good. The longer your nurturing sequence lasts, the more touch-points and sales opportunities you get, which means the mere-exposure effect will grow stronger. But as time goes on, it becomes more difficult to consistently produce high-value emails. Drip email segmentation, personalization, and retargeting can also be used later in your drip sequence to further the effectiveness of your nurturing by precisely targeting your lead’s objections, needs and wants. A whole book could be written on the topic, but there are smaller actions that you can take and elements you can easily implement in a drip campaign that should boost the success of your campaign right away. 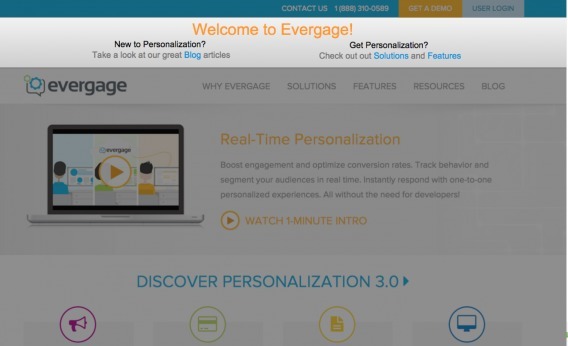 Here are a few ways to increase engagement and train leads for near-automatic behaviors. Throughout your email, in order to keep people engaged and make them feel part of your story, it’s a good idea to ask them questions to which they can mentally answer “yes”. Giving them little mental exercises to boost the interaction helps create a relationship between you and your subscribers. Now, this is as simple as adding a few words in strategic places where you want your leads to agree with you. The more they agree with you, the more yeses you get, the more trust goes up. They will see that you understand their situation and both agree on the same ideas. Take my friend Ryan Schwartz, copywriter for many big names, for example. In one of his emails he asks the reader a question related to the situation he’s describing. Ryan knows his audience well enough to know the answer for most people will be “yes”. This accomplishes something very important. On a basic level, it creates engagement as readers will stop for a second and think about their answer, but on a deeper level this question hits a point where readers who say yes will relate to Ryan’s story. The emotional bond then becomes stronger, the relationship improves, and Ryan’s leads become more responsive and likely to respond to his future asks. Andre Chaperon, creator of Autoresponder Madness, isn’t afraid of asking questions either. As you can see in the screenshot below, in this portion of the email he asks people to analyze their situation and really think about their ability to write emails – which is what his audience wants to learn. A few lines later, he makes sure readers are still engaged by asking, you guessed it, another question that is related to the first one he asked. Now as he hints at what he’s going to reveal, he once again ask another question – “Ready?” – to keep people in the desired mindset. What Andre did there provides a massive level of engagement, and at the end of the day, it’s just a few simple lines of text. How can you add questions to your emails and get your leads to relate and agree while they’re reading? I just explained the importance of asking questions throughout your copy, but how can you take it further? First, it’s important to understand that asking a few different types of questions to vary the type of engagement is good practice. For example, some questions will be a simple “Ready?” or “Sound good?”, while others will necessitate the reader to think a little harder, such as in my previous example when Andre asked his readers to analyze their ability to write great emails. To push the effectiveness of this technique further, I’ve seen great success when actually asking people to respond to your email with their answer. This is not only a very powerful way to engage as people need to take action by clicking on reply and physically responding, but it’s also a good thing to implement in your first email to boost your open rates. You see, when you get people to respond early on, email filters see this and will treat your future emails as regular emails – instead of dumping them in spam, promo or update folders. In a podcast by LeadPages, the author of ASK, marketer Ryan Levesque, suggests asking a question to your subscribers 2 hours after they signup to confirm they received the first email. He mentions it goes a long way in terms of increasing open rates, but by asking a strategic question at the same time, he’s also able to get further insights about his audience. As you can see below, LeadQuizzes’ founder Jeremy Ellens employs this technique in the first email he sends to his leads. By asking readers to share their story, he gets to actually learn about them. He shows that he cares about the person while creating engagement to further the relationship. This sounds dead simple, but it’s too important to ignore. When you’re going to make an offer to your lead, chances are you will need them to click to reach a landing page. Because of this, getting people familiar with clicking on your links is important… you want to make it a habit. To ensure people keep clicking on your links email after email, it’s critical the destination where you lead them provides value. If you only link to sales pages, you’re not nurturing anymore… you’re selling and people will become tired, and ultimately less responsive / likely to open your emails. On the other side, however, by making it extremely valuable for the reader, you’ll be able to pique their interest every time you send something their way. People will want to check out what you have to share. Working on making this a habit for your subscribers will make your link to your offer or landing page later on much more likely to be clicked and much more likely to be read. One of my clients, Dan Martell, puts a huge emphasis on getting people to click to increase engagement and consume his content. As you can see below, in just a small portion of one of his drip emails, he links over and over again. All 3 links in the email lead to the same page and video, but each each address different purposes. Link 1: Tells you he’ll talk about how to keep your mission at the 3 minute mark of the video. 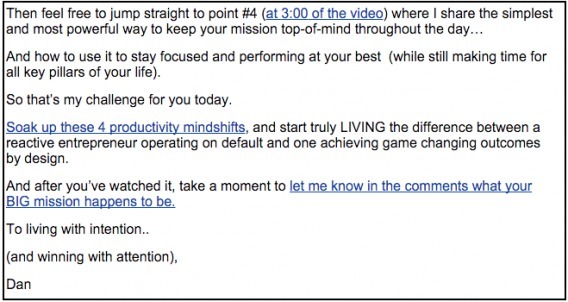 Link 2: Links to the same video, but says he’s going to talk about 4 productivity mindshifts. Link 3: Links to the same video, but encourages you to watch the video so you can comment after. By doing this, Dan’s able to boost clickthroughs and engagement while staying on track with his one goal of getting people to watch the video. 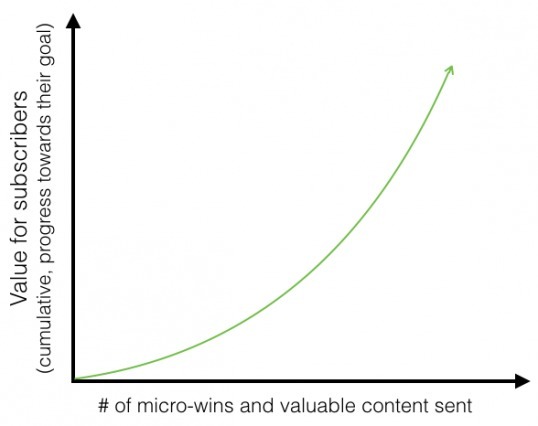 Micro-wins are little tricks you can teach your audience from which they can quickly take action and almost instantly achieve a small “win”. 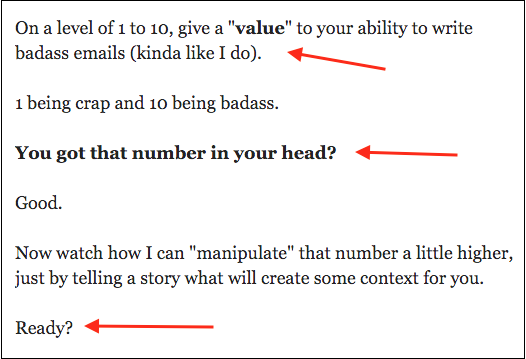 In this screenshot of an email from Bidsketch, you’ll notice they give readers a 5-minute marketing tactic. A valuable tactic to implement right away is a great micro-win for the reader. An email marketing software could include a quick trick that boosts clickthrough to try right away. Once people implement that trick and start seeing results, they will attribute it to the company that taught them the trick. Now keep in mind these should always be tied to the greater problem your audience is currently experiencing. Legendary copywriter Gary Halbert talks in the 11th chapter of his famous letters about mail being triaged by recipients into two piles. Pile A and Pile B. Pile A: The pile with all the mail you want to open. Letters from friends and family, important messages, etc. Pile B: The “junk” pile where unknowns and marketing letters fall into. They never get opened, they go straight to the trash. If you run a drip email nurturing campaign, you wouldn’t want your email to be categorized as an unimportant newsletter that might be read once in a while, which would end up in Pile B. You need your emails to be perceived as valuable by your leads, as something that will help them reach a bigger goal. You need to be in Pile A – the main inbox. So, remind your leads of that bigger goal, and their progress towards it. What big goal are you helping them achieve? How are you speeding up their success? Once there’s a deeper purpose to your emails for the reader, when they can see you’re helping them achieve bigger things than just simple tricks, the meaning of your emails becomes more profound. You will undoubtedly be harder to ignore. Are there consequences to ignoring the problem(s) they ignore? Are they aware of the importance of a solution? Do they know the “pain” they might need to go through if they don’t take action? “Acknowledge where they’re at – what they’ve experienced – how they’ve tried to solve it [their problem]. Aim to be the best diagnoser in your industry – when you think you’re specific – see if you can be even MORE specific. Once you’ve clearly defined the big problem and emphasized it, that’s when Ryan recommends to continuously remind leads of the significance of their engagement and wins. “Affirm what taking the previous action (opting in, signing up for a trial, etc.) means for them – not just what it means on a superficial level, but what it means in a bigger sense (what does it say about their beliefs, their hopes, their fears, their dreams, etc.). It’s easy to focus on optimizing your website when you want to increase revenue, but it’s dangerous to ignore the other elements of the conversion funnel. Paying attention to lead nurturing and the psychology that makes it so effective enables you to optimize from A to Z. In other words, you’re able to lead your leads on the right path to conversion, which will boost your signups, reduce churn, and increase the lifetime value of your users. Include calls to action and questions that lead to engagement on a consistent basis. Provide value by teaching or by giving away tools and resources. Tell stories to which your audience can relate. Remember that nurturing is about trust and relationships more than selling. 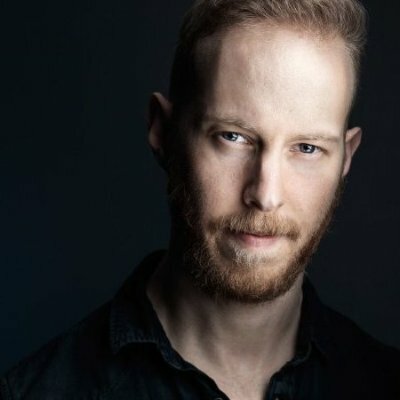 Raphael is the founder of SplitBase, the only conversion optimization agency that specifically helps fashion, lifestyle and luxury brands sell more online. They’ve created the High-End Conversion Engine, and the Testing Trifecta; frameworks for scoring and improving luxury ecommerce websites. Download the frameworks, or learn more about luxury ecommerce on their blog. Thanks Tyler! Happy to see you liked it! I saw some valuable techniques compiled there Raph…I appreciate you for the article. Thanks. Awesome to hear Robert! Any favorites? Thanks Raphael – I enjoyed this start to finish. We are working on our systems to give away tons of value to subscribers, so this is timely for me.